I have been trying to find more recipes that are healthy and quick to help put a little variety in my menu. I am also on a mission to eat as few processed foods as possible, so this recipe fit perfectly. I made it for the first time the other night, and I will definitely be making it again - it went quickly and tasted good! While onion is cooking, prepare your peppers. Chop of the top, pull out the seeds, and rinse. Once the onion is cooked add your steak and brown. Place your peppers in a square baking dish, push a slice of provolone down into the bottom of each pepper. Then fill to the top with your steak and onion mixture. Top each pepper with another slice of provolone. Put in the oven for about 20 minutes, or until the cheese has melted and browned. You could definitely add mushroom into the filling, they are just not my cup of tea. The best part is you are getting a healthy serving a vegetables, no extra carbs, and good flavor! Yummy! 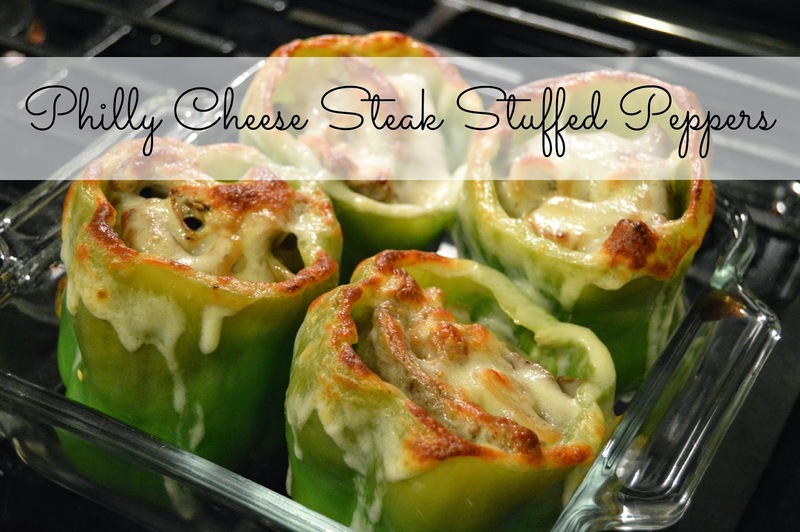 I have yet to try stuffed peppers, so I will add this to my list of things to make. I love that you basically can stuff 'em with whatever you'd like. My other favorite stuffed peppers - costco! They have these great ones in their take and bake section! Definitely would be great for that diet, give it a try! I know they really are so easy, I should get more creative with what I stuff inside! My fiancé recently cut carbs out of his diet, so this would be perfect! Looks delicious! !